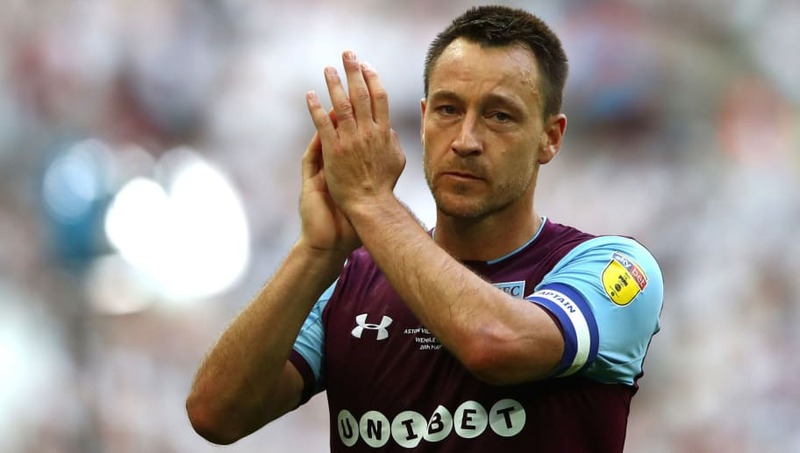 Former Aston Villa and Chelsea defender John Terry could still return to the west Midlands this season despite issues surrounding the player's salary, according to manager Steve Bruce. Terry spent last season at Villa Park as the club fought their way to the Championship final in the search for promotion back into the Premier League, but the Villans eventually suffered a narrow defeat to Fulham at Wembley and were forced to try their luck once again this year. The 37-year-old only had a one year contract at the club and is now a free agent. Terry completed a medical with Spartak Moscow ahead of a surprise move to Russia, but the deal has since fallen through due to family reasons. With the former England international still looking for a new club, Aston Villa manager Bruce had confirmed that the club are still interested in re-signing Terry this season, but the Championship will not be able to afford the defender's £60k a week wages from last year. "If all was right and we could afford John, we would have him back in a heartbeat," Bruce said ahead of Aston Villa's trip to Blackburn Rovers, quoted by the Birmingham Mail. "But we’re not in a position to offer him the salary that he was on last season. "We certainly weren’t able to compete with the offer he had in Russia, either." Bruce failed to rule out the possibility of approaching Terry once again this season, but financial restrictions has already forced their head coach to consider signing a number of other free agents. Despite high hopes heading into this season, Aston Villa are already sitting six points behind the league leaders; Marcelo Bielsa's Leeds United. The club are also lower in the Championship table than Brentford, Bolton Wanderers and Wigan Athletic.